The City of Anderson is located in the northwestern corner of South Carolina, a midpoint on the I-85 corridor between Atlanta, GA and Charlotte, NC. In 2012, the a population in Anderson was 26,708 people. The economy in Anderson is largely influenced by the prominent manufacturing presence with more than 200 manufacturing companies in the area. The county seat of Anderson county, Anderson is the smallest of three cities that make up the upstate region and holds the nickname "The Electric City." Downtown is bounded on the north by Greenville Street, with Franklin Street at the south. There are many original buildings downtown and many have been revitalized, with others waiting in the wings. In the past decade, Anderson has seen a great deal of change. A new library was built, as well as a new farmer's market and art gallery at Tribble Street. There are festivals of all sorts year round, and we hope you will join us for some fun. 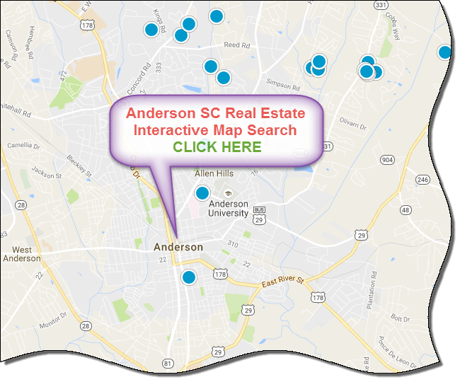 Whether you are looking for a new Anderson home or maybe you prefer a "pre-loved" one, we can help you find the perfect Anderson SC home. 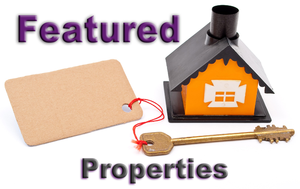 We have the complete local Greater Greenville SC real estate listing database feed online, which includes homes for sale in Anderson and other surrounding towns so you can quickly find the information you need! 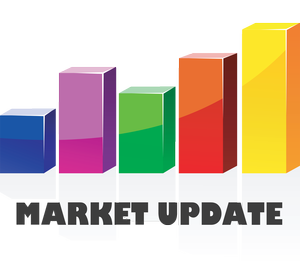 If you're looking to buy or sell a home in the Anderson area, contact the PRODUCER Realty expert real estate team at 864-438-5050.